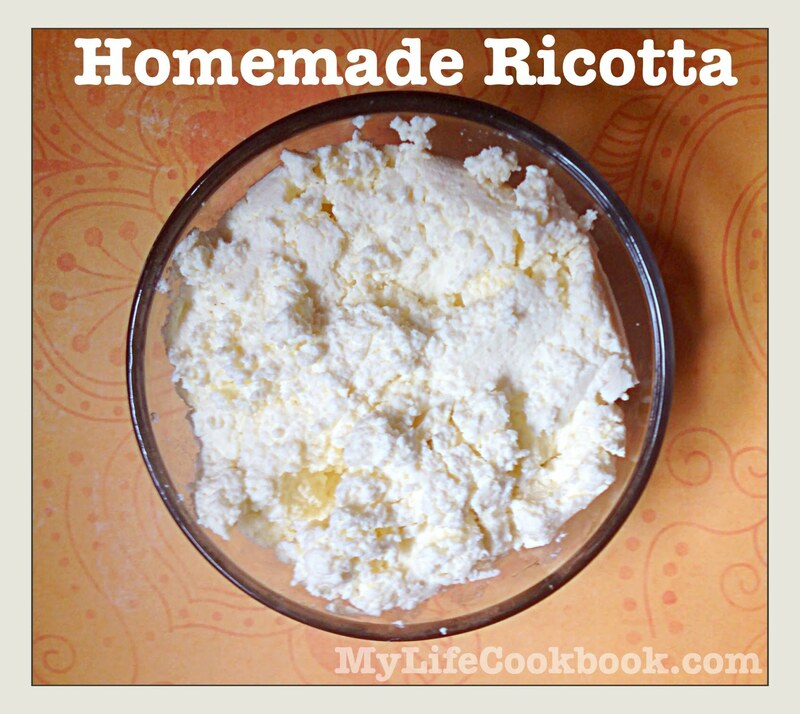 I didn’t used to be a huge ricotta fan in the past. Actually the only time I used it was in lasagna or maybe a stuffed shell type dish. However recently I’ve gotten the cheese making bug from my brother . He started making his own delicious cheeses such as cheddar, farmer’s, queso and mozzarella. So I bought a cheese making kit online and waited for a day where I’d have enough time to take my time to make it and really do it right. I started with a fresh mozzarella… it was s summertime and we had fresh basil and tomatoes so I thought a nice caprese salad was in my future. I was wrong. It was bland. It really had no taste and it took along time to make but I have to say it was also really fun to make … specially the stretching and smoothing and shaping. I served it to my hubby and son and neither of them liked it. And that is when I found out my hubby doesn’t even like fresh mozzarella or caprese salad. Why? Hmm. First you want to use whole milk. That’s what makes it creamy and delicious. You also want to make sure the milk is fresh and is not UHT (ultra high temperature). Pasteurized milk is fine and it’s what you can readily find in your grocery store. Next you need cream. Not half and half, but real whipping cream as well as salt and distilled vinegar. That’s it…just 4 ingredients. Some other things you will need are a thermometer as you are going to have to heat the milk up the 185°F. Also you will need a colander and cheese cloth. You probably have all of those things already. 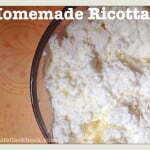 Other cheeses require rennet, cultures, citric acid, etc. It’s pretty complicated so in comparison this is a breeze. If you are interested in learning more about cheese making or want to buy some cheese making supplies check out Cultures For Health’s website (here). They have a few free ebooks and lots of articles you can read. That is where I bought my cheese making kit but you can also buy one on Amazon.com such as this one. 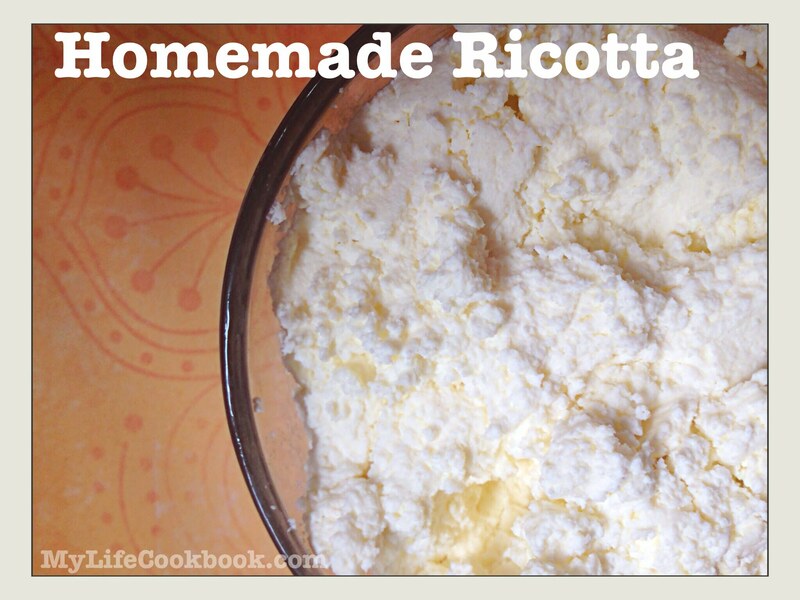 I can’t over stress how much better homemade ricotta is than the ricotta you buy in the grocery store. You could eat this on a piece of crusty bread and top with an heirloom tomato and it would be beautiful and delicious. Next I’m going to try cottage cheese (as my son eats it all the time) and maybe feta cheese. That sounds good doesn’t it? In a large, non reactive pot add the milk, cream and salt and set to medium heat. Stir occasionally and heat to 185 degrees F. You will need a thermometer to be exact. Next stir in your vinegar for 15 seconds and keep on the heat for an additional 2 minutes. Then take it off the heat. Let it rest for 20 minutes undisturbed. While it's resting, line a colander with cheesecloth and place over a large bowl. When the mixture is done resting, carefully spoon the mixture into the cloth lined colander with a slotted spoon. 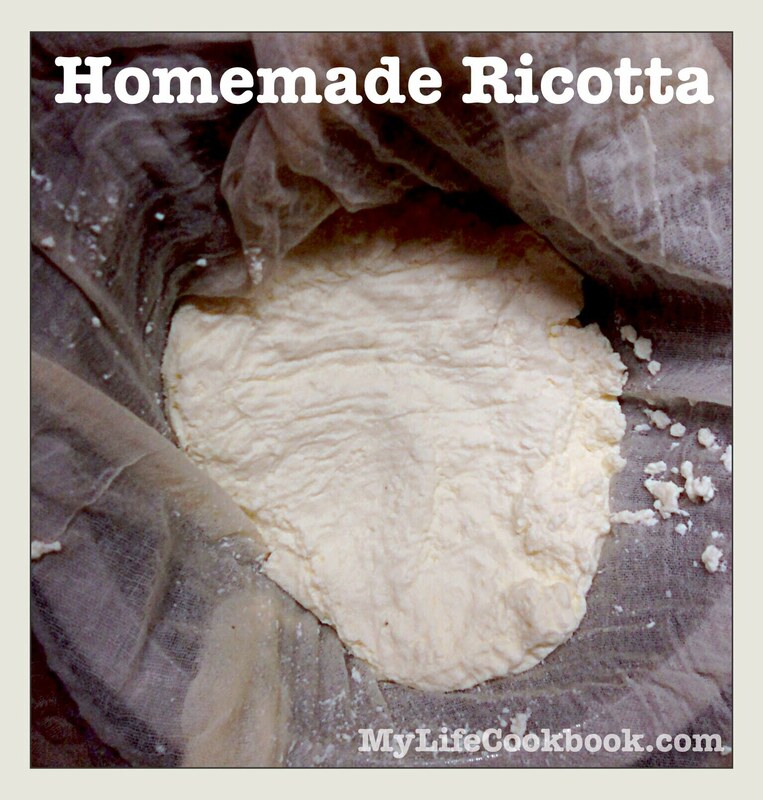 Use the end of the cheesecloth to cover the cheese and set in the refrigerator to drain. It takes about an hour or two but you can do it over night. The longer you let it drain the firmer the cheese. I just did it for about 2 hours tops. Take the cheese out of the cloth and put into a sealed container and keep in the fridge for up to two weeks.